A lot has happened in the last 4 years. Four years ago Ms. Goofy and I visited Bull Dog BBQ in Martinez California. I wrote a review for my good friend Doctor Biggles. This was one of my first attempts at reviewing. 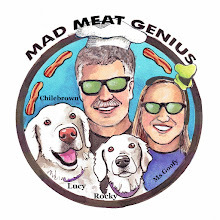 ‘Mad Meat Genius’ was only a small flicker of light in my cranium region. Now, Ms. Goofy and I are certified KCBS (Kansas City Barbeque Society) barbeque judges. I have written for several blogs and been having a very fun ride reviewing bacon, hot and barbeque sauces. My taste in barbeque has not changed. The way I look at barbeque has become a little more critical. Barbeque at competition level is a chance to sample some of the best of the best. There are certain things that you look for in the perfect rib. Is it cooked correctly? How is it presented? How does it taste? Each rib is judged individually. 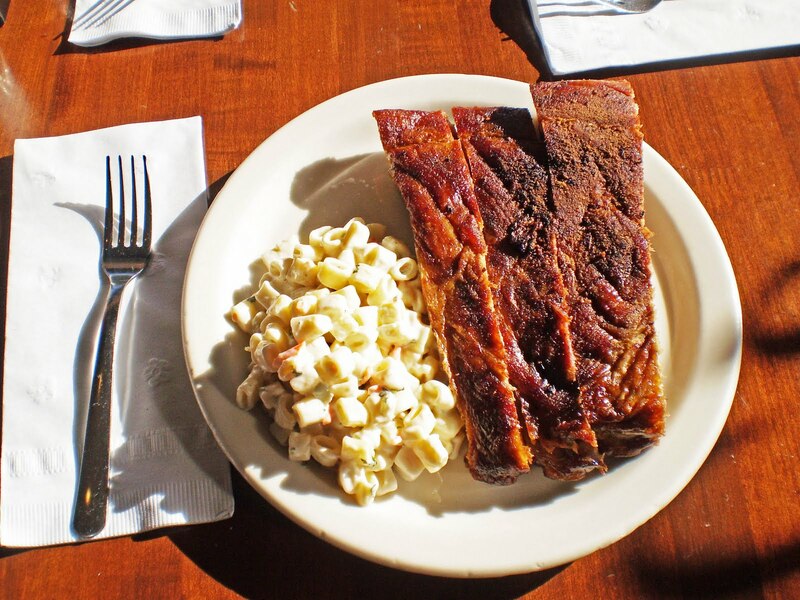 Once you judge a rib you move on to the next competitor. You do not compare one competitor against another. Every judge has their own personal taste preference. With that said, My BBQ restaurant reviews will be different than 4 years ago. I will look at the establishment as a whole package. How was the service, food (BBQ & side dishes), beverages, and atmosphere? 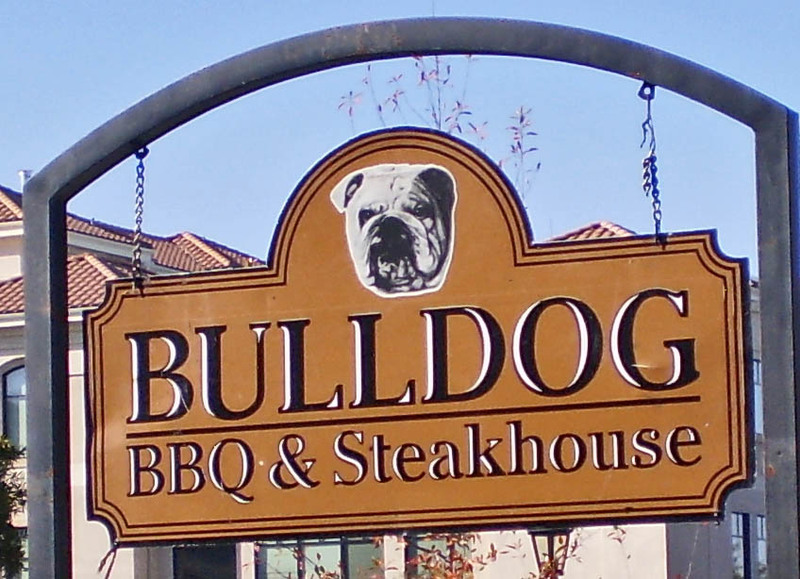 We visited Bulldog BBQ six months ago and again this last weekend. Bulldog has changed owners since 4 years ago. Ralph & Gina Rangel are the new proprietors. The outside logo has changed. 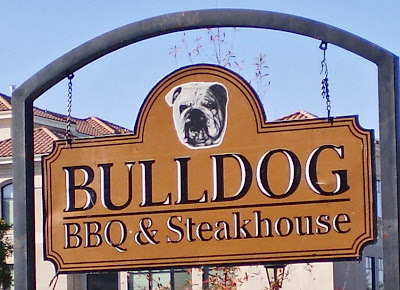 The Bulldog insignia is no longer present on the front window. The interior is inviting and warm. We grabbed a seat and our very friendly waitress came right away with utensils and menus. Some cold frosty beverages were in order. Bulldog has several beers on draught. The menu has the usual suspects for a BBQ joint. 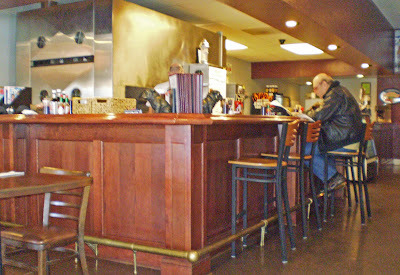 They do have grilled steaks and prime rib which I have not tried. One thing we noticed was the absence of cornbread. I seem to recall a wonderful corn muffin from a previous visit. Cornbread is usually a staple at BBQ joints. I wonder why it was taken off the menu. We were on a mission to try the BBQ. Ms. Goofy ordered the pulled pork sandwich and I ordered pork ribs. Our sides included cole slaw, macaroni salad and macaroni & cheese. Pork Ribs: Now the barbeque judge emerges. We took a look at the ribs to critique the appearance. These ribs looked very average. They do not jump out and start the drooling process. A bite is taken for the taste. These ribs are slow cooked with a dry rub. The sauce is served on the side. The taste again is very average. The rub does not add or subtract from a fairly bland pork flavor. The smoke flavor was very minimal. Some sauce was applied and another bite was taken. The sauce has a sweet/vinegar tomato base. This was a big improvement but we wanted to eat ribs, not sauce. The texture bordered on a little overdone. Pulled Pork Sandwich: The pulled pork meat was the best part of our meal. The appearance was very appetizing. The meat was a good mix of bark and center meat. The flavor of the meat was smoky and tender. The bark was a treat in itself. (Bark is the caramelized intensely flavored exterior of the pork) The texture was spot on for pulled pork. It was served on a lackluster plain roll. Side Dishes: The macaroni salad and coleslaw was uninspired. They could have come out of a 5 gallon bucket from Costco. The macaroni and cheese was dry and not creamy at all. The side dishes were disappointing. There was no cornbread on the premise. 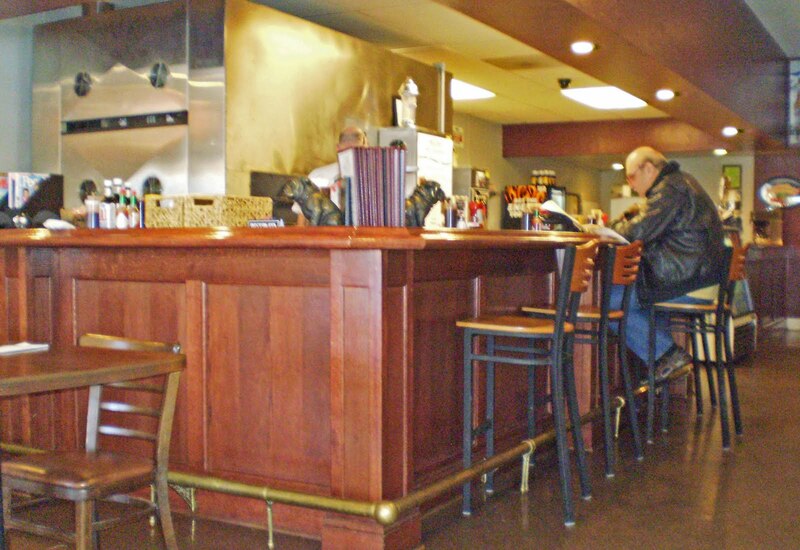 Bulldog BBQ is a clean, warm and inviting restaurant. 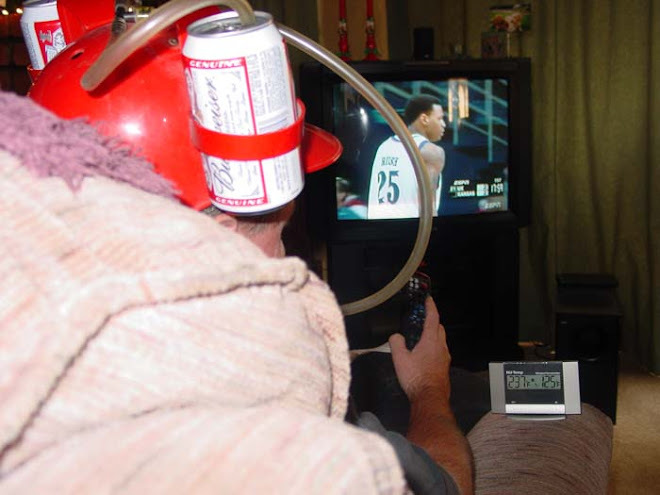 It is a good place to grab a beer and watch a game. The owner and staff are very friendly and efficient. The food is pretty mediocre for a BBQ joint. The ribs were very average. The sides were uninspired and did not compliment the meat. The pulled pork was excellent but fell into an unexciting and dry roll. We did not feel the ‘Love’ with the food. To be fair we ate here 6 months earlier. Our visit was basically the same. We returned to review today on request from Meathenge. We did not try all the menu items. Dr. Biggles will do a follow up review to try some different menu offerings. Will we return? I would like to return and try a steak, but after today’s review, we probably will not be welcome. This sums up almost every BBQ joint I go to. It is very hard to cook competition level food to be served when ordered. I admire the heck out of the great places, and respect the effort of everyone else (except for two places that I just flat out hated). 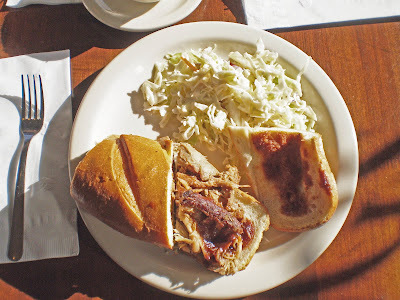 In the Bay Area we have lots of BBQ joints. The combination of Atmosphere, BBQ and sides will judge if you will return. We would like to return but a couple of components are missing. I want to like this place. Greg, Yeah, I do not know about all the heathen stuff. Everybody was very nice. Cornbread does need to be with BBQ. Loving how the PC's are repeatedly shooting themselves in the foot. By deleting this thread of discussion, King was only giving it more clout. Doesn't he know how Facebook/the Internet works? Once it's out there... Deleting won't help. More people will read this deleted discussion now thanks to King's fear of public criticism and his inability to back up his beloved "process".